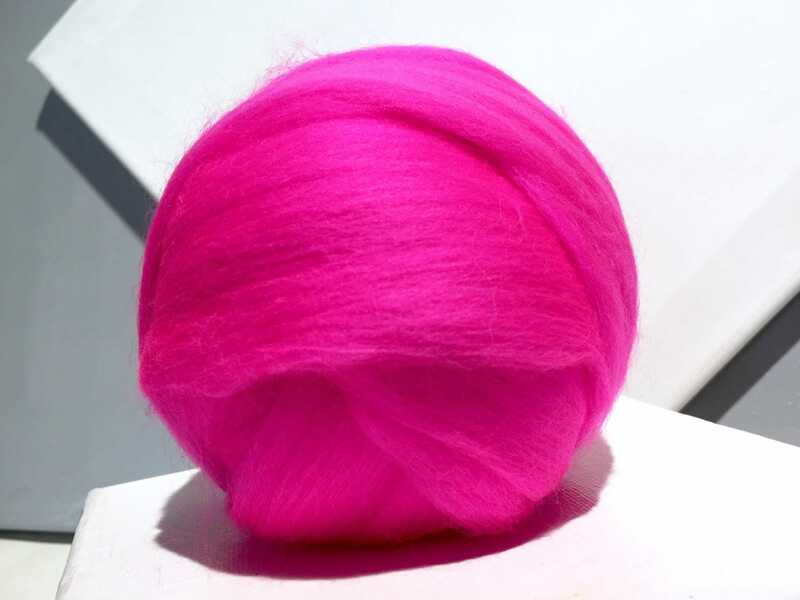 This is very soft, very bright fuchsia Merino, suitable for spinning, wet and nuno felting--as well needle felting. * listing is for one ounce. 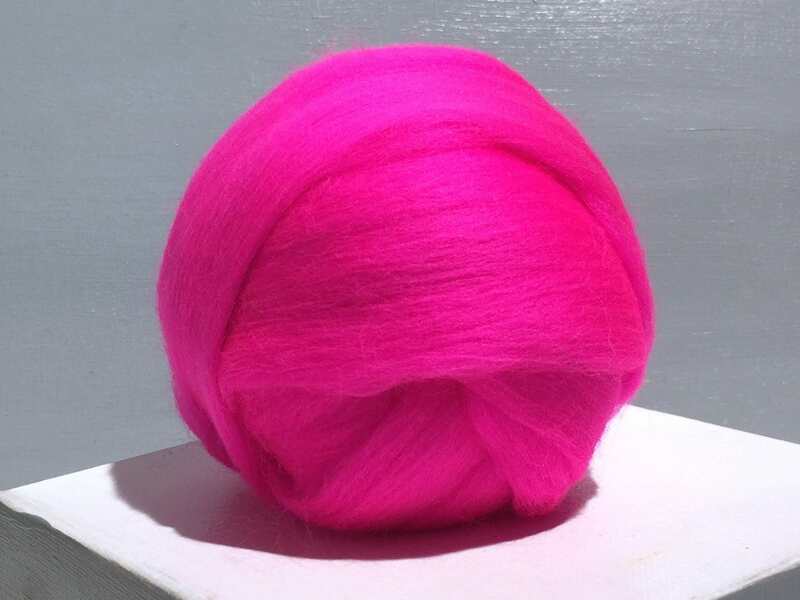 We carry, on average , 70- 100 types, colors of wool roving! So beautiful. As always. You can't go wrong with WildThyme. Beautiful color and great quality. You always have quality items. 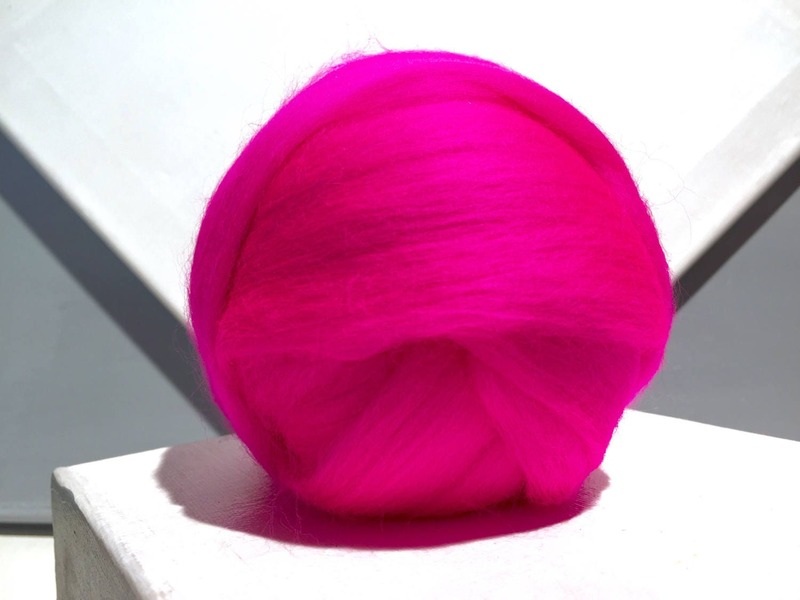 Beautiful roving- has perfect color blending, it's beautiful and soft. It pulls apart a little easily for weaving but the color makes up for it. Pretty pretty pretty! Love this color and this shop! Lovely, bright color. Smooth texture.